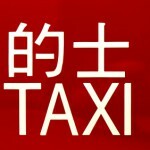 As a foreigner in China it’s an interesting exercise in trust and letting go of control to go by taxi. Especially if you think you know how to reach a place and the driver is taking a completely different way. When I go by taxi back in Sweden I’m used to be able to follow where we are going by looking at signs and talking to the driver asking for clarification if I believe we are going in a wrong direction. You might say that I like to feel that I have some sort of control over where we are going. Control freak? Not me. The other day in Shenzhen, Guangdong province in China, I went by taxi from the hotel to the airport. At least that was my intention. Since I don’t speak Chinese and most taxi drivers don’t speak English, I asked for help at the reception of the hotel to get a taxi to take me to the airport. That was quite easy. I got into the taxi, and I was right, the taxi driver did not understand English. She was told by the person from the hotel in Chinese where I wanted to go and off we went. To my surprise the driver started driving in the direct opposite direction from what I expected. She was actually driving towards the city. I got a little worried. I also started to think that I should really trust her to know how to get to the airport. So, I went into trust mode. When taking a taxi in Sweden I can follow the progress of the drive and feel that I am in some sort of control. I can look at road signs and understand what they are saying and above all, I can communicate with the driver. Most times at least. In the Shenzhen taxi, even though I decided to go into trust mode, I was getting queezy. What if the driver got other instructions than taking me to the airport? What if she decided to ignore the request at all? So much for trust mode. Not feeling in control made me really worried. One minute I decided to trust the driver, the next I wondered what would happen. The next minute I started calculating at what time I actually needed to make a decision to intervene with the driver. While doing all this thinking another thought emerged in my mind: Maybe this is how traditional project managers or line managers might feel when self-organized Agile teams tell them to trust them. The project manager might feel like he or she is in a foreign country without the ability to speak the language, without a map and without any ways of interpreting the signs. In other words feeling totally out of control. My conclusion is that it is wise for self-organized teams, Agile or not, to keep an eye out for the project manager or line manager and try to identify if they are feeling lost or out of control. Self-organizing teams can benefit from having a good relation with a project manager. The team and the project manager can grow together. The team can see to it that they are visualizing both progress, where they are, and any signs that can help the project manager feel safer and more in control. The team can make sure that an ongoing dialouge is kept between itself and the project manager. The team can make the project manager feel part of what is going on by asking for support and telling about their needs for doing a great job and producing a high quality product. The team can show some trust in the project manager. After getting this far in my thoughts in the taxi I decided to take a look at the maps application on my mobile phone. To my pleasure it told me that we were actually pretty close to the airport. Please share your thoughts on trust and letting go of control. What have you experienced? What are your recommendations? Please add your comments.